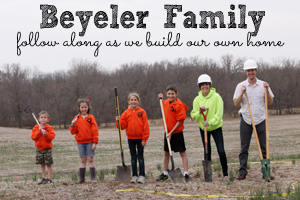 We've had a few good days of weather and were able to start our foundation. Wednesday around 11:00 AM Remley Construction arrived on site. I met with them and explained the layout and drawings, and they got started right away. 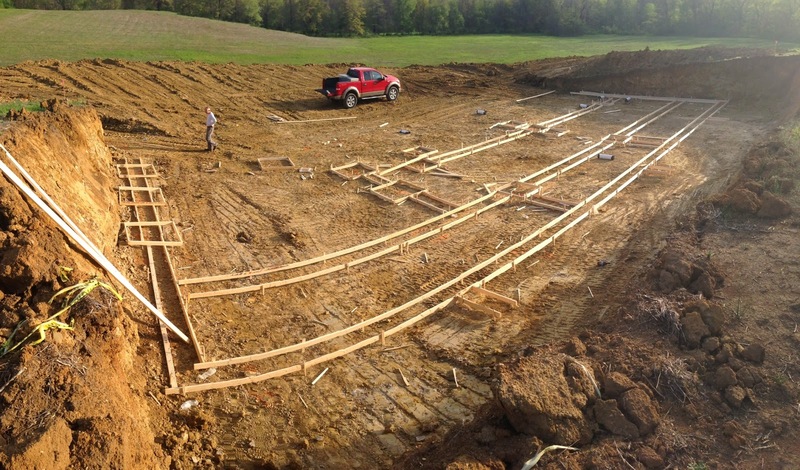 They lined out the foundation footings and started laying out the 2x4's for the footings. On another front, we made more progress on getting power to the site. 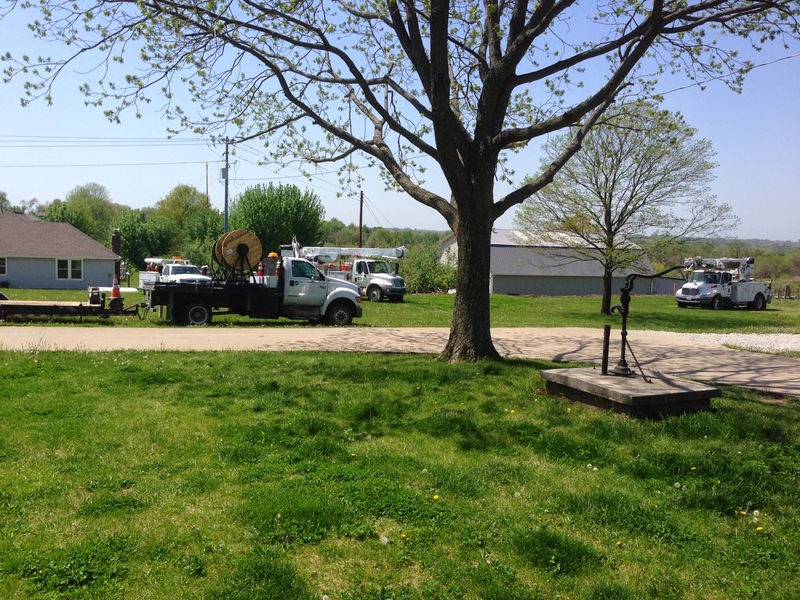 PCEC was out Wednesday working on getting power from the overhead lines out to my underground conduit.